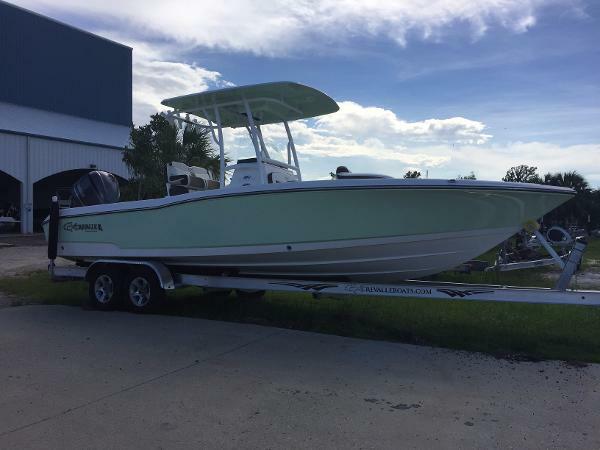 2017 Crevalle 24 Bay This 2017 Crevalle 24 Bay is the first to the lot. 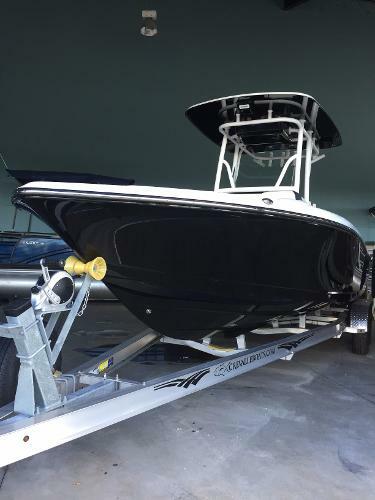 It is equipped with a fiberglass hard top, powder coat package, cushion package, fresh water system, hydraulic jack plate, trim tabs and much morePowered by a Yamaha 250 SHO.Come check out the best Hybrid bay boat manufacturer around! 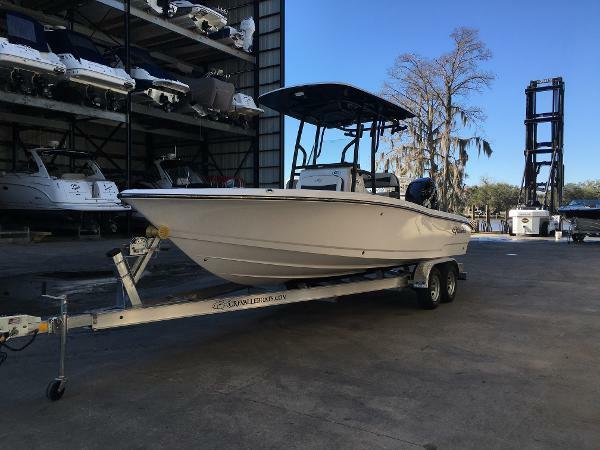 2017 Crevalle 26 Bay Ready for immediate delivery this 2017 Crevalle 26 Bay is ready to fish inshore and offshore! 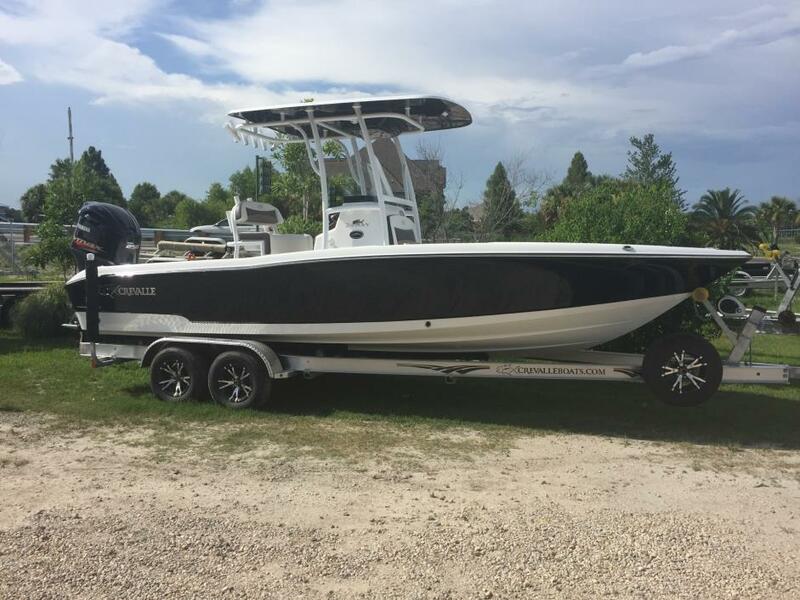 Equipped with a Yamaha 300 4 stroke and Command link plus digital gauges. 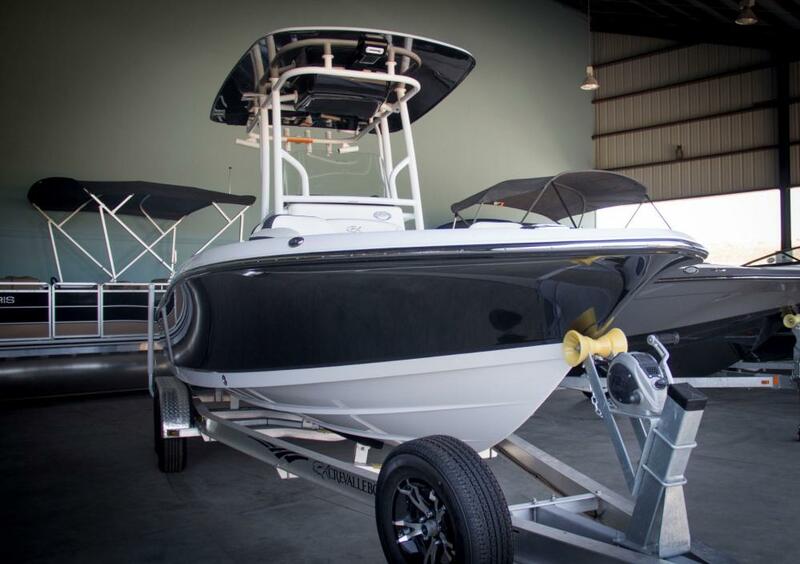 Equipped with a fiberglass hard top, white powder coat package, upgraded leaning post, cushion package, fresh water and salt water washdown, fresh water misting system, fusion stereo with bluetooth, wet sounds speakers, integrated trim tabs, hydraulic jack plate and much more! This is a boat in which the ride sells itself! 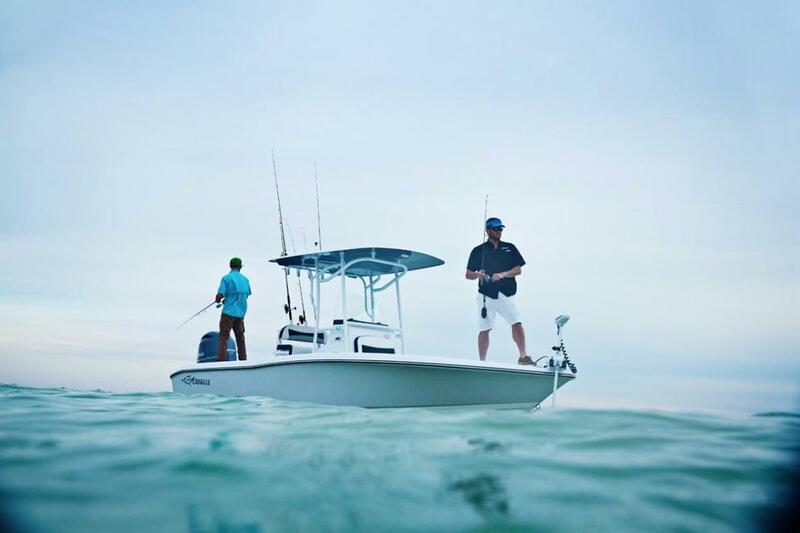 There is not a better Hybrid offshore bay with the amount of comfort features as the 26 Crevalle has. Please call us for any questions or come see them now!